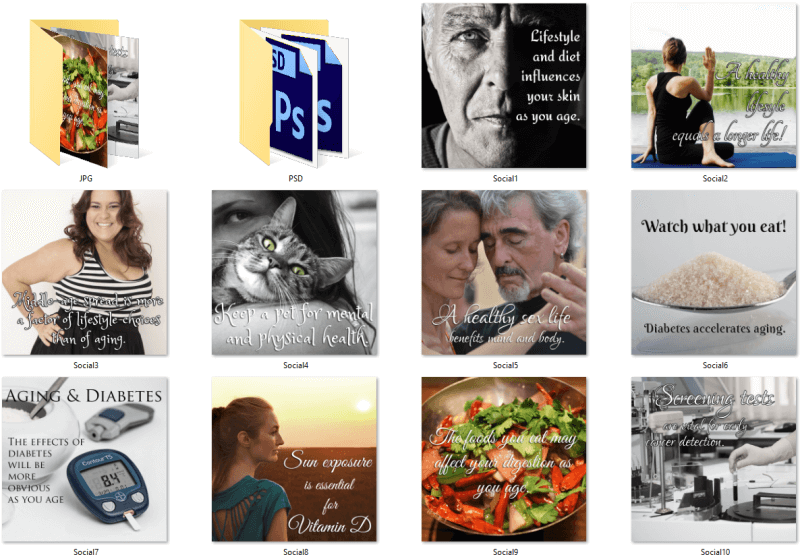 You are here: Home / Health PLR / All About Aging PLR – Articles, eBook, Posters & More! 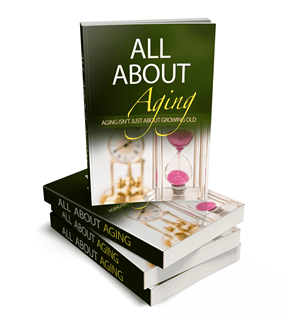 This ‘All About Aging’ PLR package provides information on aging and life. Aging happens to all of us, and aging isn’t all about growing old! Your website visitors will love reading this content! It will make them feel that aging isn’t just about growing old! There are lots of great things that happen in life when we mature! Just like a good wine…we get better with age! Check out the titles in the articles (and ebook created from the articles) to see the topics discussed. Beautifully formatted, disclaimer, introduction and conclusion added. Fully illustrated with royalty free, commercial use images. Plus a bonus, full-size infographic! 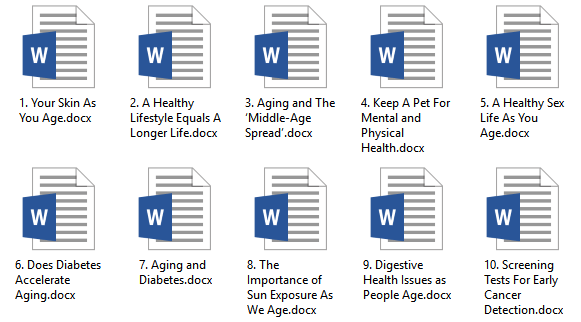 Here are the 10 article titles and word counts. 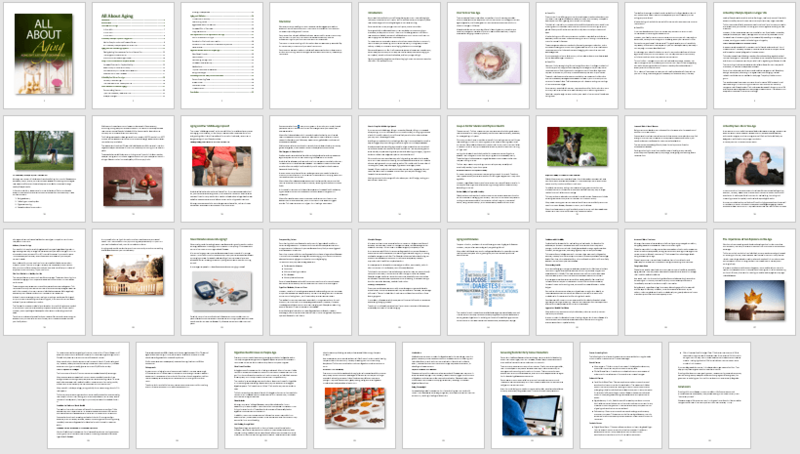 If you prefer an ebook to posting articles, we have done all the work for you! However, you can use both! The ebook is supplied in a word doc and a PDF file, plus has a disclaimer, an introduction and a conclusion. All the images are royalty free licensed and are for commercial use. Beautiful ecover graphics ready to go! Plus, social posters to add to your website or social media platforms or both! These files come in JPG, PNG and PSD files are included for editing. This super-duper size infographic measures 800px x 4,416px. This is what the authority sites display on their websites. This infographic is professionally designed. Plus, it creates another 7 mini-infographics, so you have lots more chances of going viral on the social media platforms!